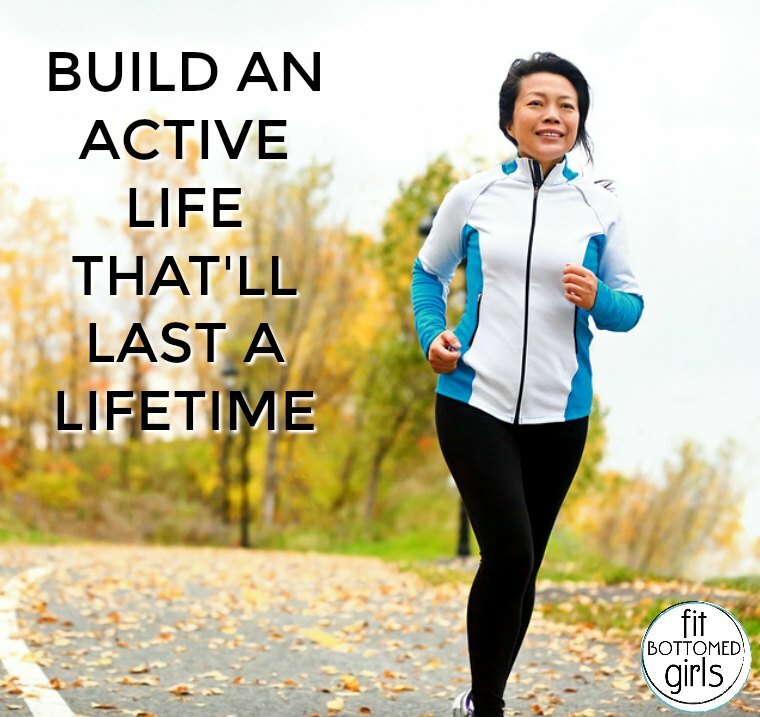 Today’s guest post on building an active life that’ll support you for a lifetime is from Kevin Jones, who shares his wisdom and expertise in the health and fitness industry for a number of sites across the web. He has written extensively for NordicTrack offering out-of-the-box workout plans and nutritional advice. During his free time, he likes to be very active with his wife and two children hitting the slopes of Park City, Utah, or chasing down Salt Lake City’s Korean food trucks. Connect with him online on LinkedIn or Twitter​. Aging may be an unavoidable fact of life, but there are plenty of ways you can prepare your body to age gracefully and stay fit. Now, you might be thinking, “I don’t need to worry about this yet! I’m not an old person.” But actually, now is the perfect time to start working on this. Did you know that muscle loss can start as early as 20 years old? If you aren’t proactive with your workouts, you could hit your 50s and already have 35 percent muscle loss. Also, muscle loss is linked to slowing metabolism. If you’re already feeling like your metabolism isn’t what it used to be, then you need to consider these tips on how to build up an active life that will keep you going for years to come. A lot of our muscle tightness comes from a loss of flexibility. A simple fix for this would be to add yoga for 15 to 20 minutes, three days a week to your lifestyle. There are many styles to choose from, from popular Bikram to the more soothing Hatha style. Mix and match to find something you’re comfortable with. Loss of balance is a contributor to fall risks. While taking a fall for most younger people is usually just considered embarrassing, as we age, the risks mount. According to the National Council on Aging, every 19 minutes an older adult dies from taking a fall. Regular activity like cycling can help maintain your coordination and limit your risks of accidents. If you already are a fairly active person, congratulations! Many sports enthusiasts, from runners to basketball players, consider participation in their sport enough to get by. What they haven’t considered is that many injuries sustained in the course of their sport — from sprains to pulled muscles and more — might have been prevented with attention to their sleep schedule. Active adults need 7 to 8 hours of sleep; so even if you can get by on less, you may end up paying for it in the end. Without mechanical stress (impact), our bones will weaken over time. This allows bone mineral leaching and creates an environment for more easily broken bones. By accustoming your bones to impact while you are younger, you can protect yourself from these effects of aging. A good source of impact training is running. To avoid some of the problems that come with running on hard surfaces, you may want to consider a low-impact treadmill. For a more extensive breakdown of what happens to your body as you age, review the infographic below, made by the Breaking Muscle team and NordicTrack. Thank you ladies (and Kevin) for posting this important information. I have shared it on my social media accounts. I am in my mid-fifties and have been exercising regularly for roughly 30 years. (Yikes! Writing that out, it seems unbelievable. As they say, time flies when you’re having fun.) Anyway, my physical activity began as a losing battle to be model thin, but now I’m grateful that I established the habit and my motivations have matured. I want to be healthy, active, and confident to enjoy as much of this world as I can for as long as I can. Thanks for including sleep in the equation. I think a lot of us forget our bodies need time to rest and rebuild. Keep spreading the word! Thanks for share this great blog it gives us lot of motivation. Great info in this article. Like the integrated approach to anti aging. The infographics also made it easy to scan. Good tips. I find that joining community running and triathlon groups and racing in local events helps me keep active.